Valentine's Day stamps have arrived to Creations Galore, and our favorite this season isn't specifically themed for this holiday. Avery Elle's Monsters set came out around Halloween, and we've been reaching for it over and over. This time we created a cute valentine using Paper Cut's 3x3 pre-folded cards. 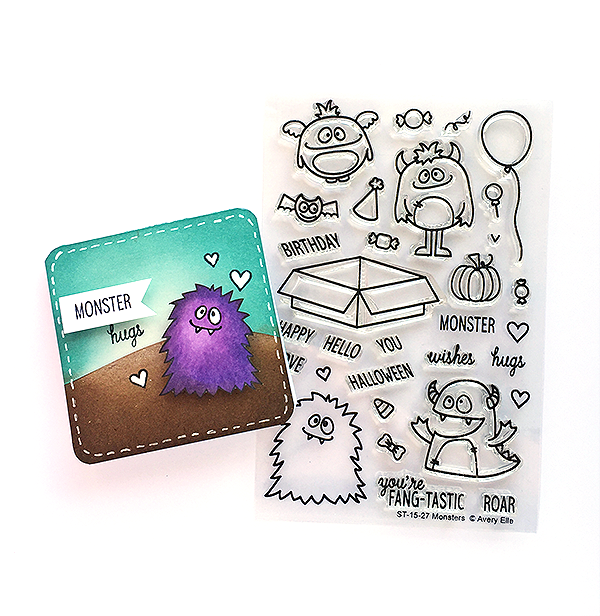 As if the cards and envelopes weren't cute enough, the monster is making us all say a collective, "AWW." 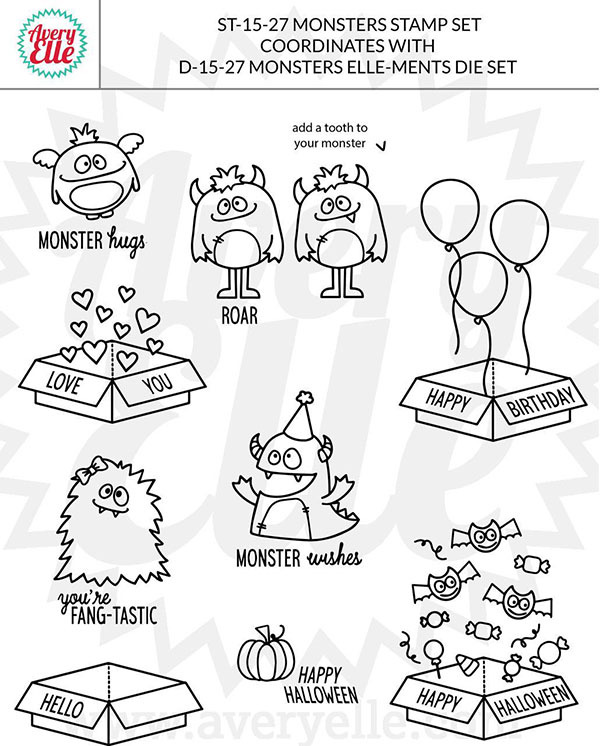 To show all of the various ways you can use this stamp, we wanted to share this chart from Avery Elle. This set can be used for Valentine's Day, Halloween, weddings, birthdays, and for a simple hello. Everyone from kids to adults would love a handmade greeting using this set. Stop into our store to see the newest arrivals of paper, stamps, and embellishments. New Valentine's, Easter, and Spring themed items are coming in each day. You can find us at 3164 Coronet Way in Green Bay, Wisconsin. For directions, click here.